The 2019 Gold Cup Draw was revealed last night in Las Vegas, Bermuda was selected in Group B alongside Costa Rica, Nicaragua and Haiti, with the matches scheduled to take place in Costa Rica on June 16th, Texas June 20th and New Jersey June 24th. 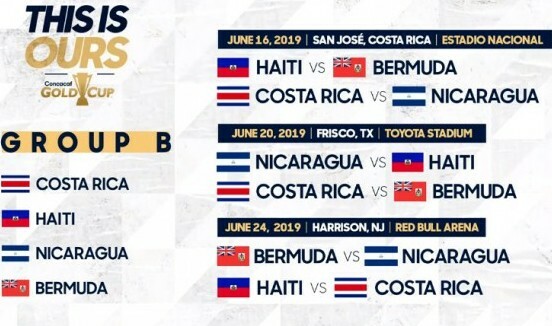 Bermuda will travel to Costa Rica and play Haiti, before facing Costa Rica on June 20th in Texas and they will close out the Group Stage on June 24th against Nicaragua. We spoke with National Coach Kyle Lightbourne following the draw.